New York: Harcourt Brace Jovanovich, Publishers, 1984. 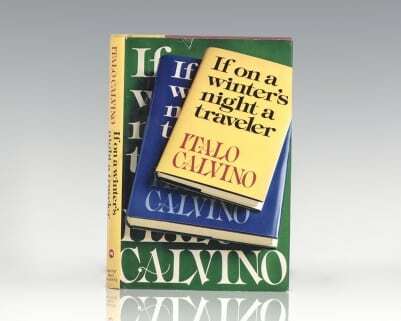 First edition of this classic collection of short stories by Calvino. Octavo, original half cloth. Boldly signed by Italo Calvino on the front free endpaper. Fine in a near fine dust jacket with a small closed tear. Jacket design by Louise Fili. Translated from the Italian by William Weaver, Archibald Colquhoun and Peggy Wright. Difficult Loves was immediately praised upon publication, as tales of love and loneliness in which Calvino blends reality and illusion. “The quirkiness and grace of the writing, the originality of the imagination at work,...and a certain lovable nuttiness make this collection well worth reading” (Margaret Atwood). If On A Winter Night’s A Traveler. New York: Harcourt Brace and Jovanovich, 1981. First edition in English of Calvino’s avant-garde masterpiece. Octavo, original half. 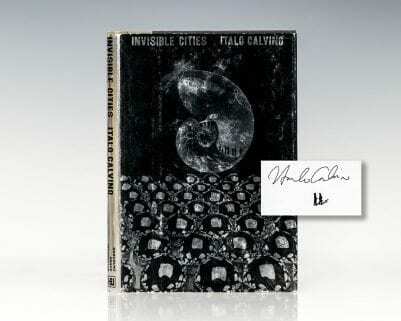 Signed by Italo Calvino on the half-title page. Fine in a near fine dust jacket with light rubbing. Jacket design by Rubin Pfeffer. Jacket photograph by Benn Mitchell. Translated from the Italian by William Weaver. Torino: Harcourt Brace Jovanovich, 1974. First edition in English of Calvino’s magnum opus. Octavo, original half cloth. 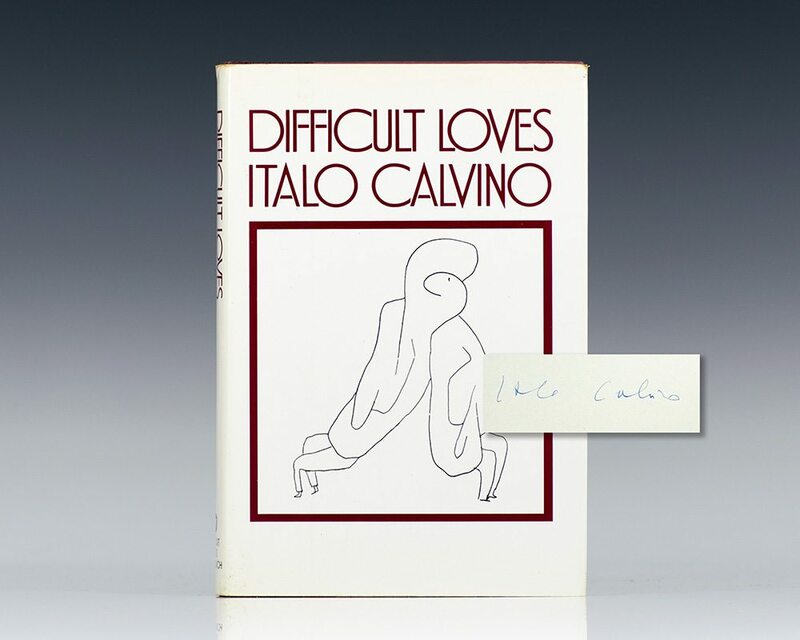 Boldly signed by Italo Calvino on the title page. Fine in a near fine price-clipped dust jacket with light rubbing. Jacket design by Arnold Skolnick. Photograph on the front of the jacket by Ryszard Horowitz. Translated from the Italian by William Weaver Rare and desirable signed.